Donate gently used children's and women's clothing and accessories for resale by Schoola. When your clothes sell, Hilburn Academy gets 40% of the proceeds. All for FREE. All you do is request a Schoola bag, fill it with gently used clothes and leave it for your mail carrier. 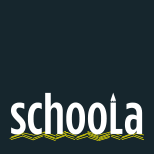 Schoola does the rest. *new feature - you can now print a label to ship your own box instead of waiting for the bag.